As a family, you may want to spend money from time to time on things that bring your family joy. Setting a specific budget that allows for expenditures on family happiness is very important. If you have set up your household budget in a way that doesn’t allow for a little extra spending here and there, well then you should revisit your budget. Today we are sharing 4 tips for spending money on family happiness. These ideas aren’t what you may have expected. Your first step to spending money on family happiness is to realize that the best place to spend money for happiness is on experiences. Sure that expensive necklace or that fancy clarinet may make your child feel loved, but the deepest level of family happiness occurs when you spend money on experiences. Try to plan a fun adventure or simple vacation away from home for the weekend that you can partake in together as a family to increase family happiness. Secondly, you will want to ensure that you are not going overboard. Family happiness isn’t expensive and you shouldn’t make it crazy. While staying within your budget, you can easily plan a family happiness trip or event together without going completely broke. The whole point of spending money on family happiness is to allow quality bonding moments to happen that won’t break the bank for later stressful times that would decrease family happiness. There are obviously two options to spend money on family happiness; you can go big and save all year for a fabulously expensive trip or you can budget for smaller trips and events that your family can enjoy all year round. When deciding whether to budget for small, frequent trips together or an extended vacation together think about which option will increase the most family happiness for your household. Only you can make the right decision on which way to spend money on family happiness. One of the big stressors for parents is overdue bills. Start paying off some of your debt and in time you will find that your family happiness increases. When you reduce or completely get rid of debt that you have as an adult, you may be able to work less and do more with your children. This is the perfect way to spend money on family happiness for long-term effect. Taking the time to pay off debt is a vitally important step to also having money in the budget to spend on family happiness. There you have it, 4 tips for spending money on family happiness that are unique and easy enough for any household to apply to their current situation. 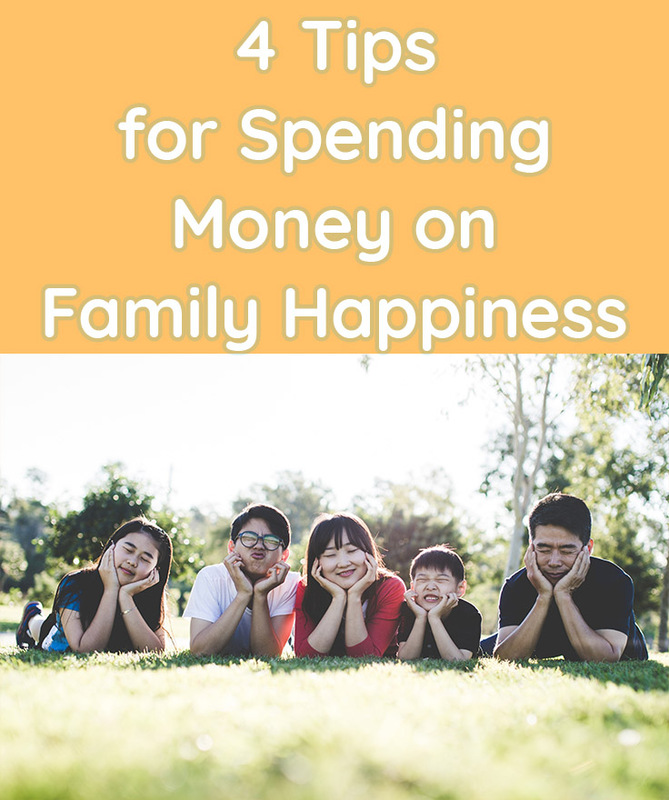 Whether you’re looking to get out of the house or relax together as a family, there are many ways you can easily adjust your budget to increase some spending on family happiness.